John Blichmann, founder of Blichmann Engineering joins me this week to discuss setting up an indoor electric brewery at home. Today my guest is John Blichmann, the President of Blichmann Engineering. John is a long time brewer and founder at Blichmann Engineering which provides a wide range of brewing equipment including brewing systems, kettles, pumps, control systems and fermentation equipment. Much of the show used English units, but here are some articles that include metric units for those of you outside the US: Electrical Considerations for an Electric Brewery, Ventilation Considerations for an Electric Brewery. John shares his thoughts on some of the advantages of having an indoor electric brewery, including the ability to brew year round. We talk about the sizing of electric breweries and how the size of a system will ultimately drive requirements for things like electricity, ventilation and water. We discuss the limitations of 12oV and 240V electrical power in a typical home and why it is important to get an electrician involved in the planning process to assure wiring and breakers are sufficient. John explains why a Ground Fault Interrupt Circuit is a REQUIRED piece of equipment for brewing systems as we are ultimately mixing water and electricity. We talk about the need for proper ventilation, even for an electric system, to avoid dumping gallons of water and steam into the air in a confined space. John shares his rules of thumb on how to determine the proper size for a ventilation system. We discuss the need for a proper water supply and draining water – which is critical for cleaning, brewing and also chilling the wort after brewing. 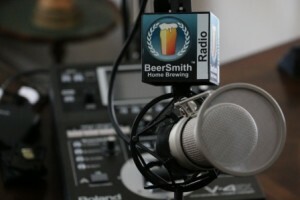 John spends a few minutes discussing some of the new home brew products Blichmann Engineering recently launched including a new brew pump, BrewVision thermometer, and others.